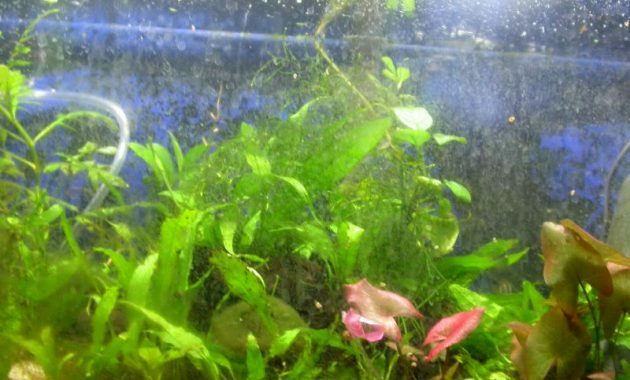 How to Stop Green Dust Algae Growth in an Aquarium – In the Aquarium, we can find a wide range of issues, including the problem of the appearance of Algae. Green Dust Algae will appear in the tank at the time of the initial setup of Aquascape. This is because the nutrients are ecosystems that have not been balanced in the Aquarium. Green Dust Algae often appear on the surface of the glass like the dust that clings to green however and this would be very disturbing appearance and beauty that radiated your Aquascape. Speaking of Green Dust Algae, many cases among the fans of this algae that Aquascape can be easily removed with your fingers. Many have said also that algae sometimes can be eliminated by means of lowering the water from above the surface, this is because the layer of algae that stuck to the glass is not too strong. The appearance of Green Dust Algae that was striking was apparently not without reason. This is caused by changes in nutrients yet is balanced in the Aquascape like too large number of aquarium equipment lighting, still less as well as plants that are still adapting to the environment inside the Aquascape. Read also how to resolve other algae here. Learning from the experience of the Aquarist is famous, that a large amount of nitrogen was caused by magnesium nitrate or urea which can trigger the onset of Green Dust Algae in your Aquascape. Make sure you do waterchange is at least 50% of the volume of the Aquarium for a week once. This is not only useful to add fresh water to plants and fish, but could increase the nutrients in the ecosystem so that nutrients are in the Aquarium can be quickly balanced. If you have problems with algae on this one, you are advised to sit the sweet course. Do not remove the first layer of algae, but wait in advance at least 3 to 4 weeks and see its development. Please note, the live algae only revolves around 3 – 4 weeks. You can add a snail species Algae eaters such as Algivores and suckermouth plecs to eat Green Dust Algae. Alternatively, you can reduce the discharge of water in the tank after this alga living over and then clean Green Dust Algae sticking on the aquarium glass. You can use a tool called magnetic glass IE tools, normally used to clean aquarium glass on the inside. To prevent a Green Dust Algae grow back in your Aquasacpe, then you first have to clean up all the rest of these algae sticking inside the Aquarium. Here’s how you can add treatment with hydrogen peroxide to kill the remaining algae sticking. 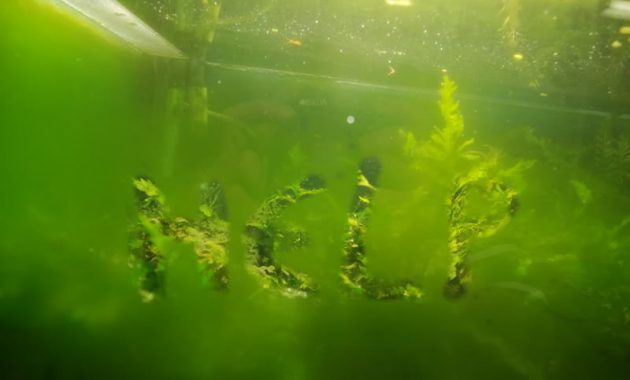 In addition, to prevent the Gren Dust Algae comes back, you have to do the waterchange is pretty much that is 70% to 80%, and it is recommended to reduce the intake of fertilizers in advance up to the condition of your tank back stable. That is the information on How to Stop Green Dust Algae Growth in an Aquarium. Hopefully, this information could be useful to further safeguard your Aquascape from pest bully such as algae.